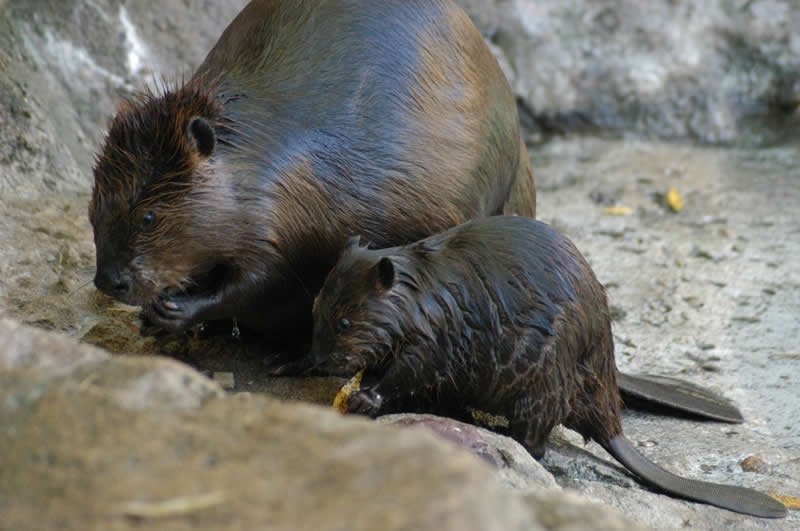 The American Beaver (Castor canadensis) is the largest rodent in North American and the second largest in the world after the Capybara of South America. The ability of these semi-aquatic creatures to alter their environments is well-known; using their strong teeth and jaws, beavers frequently dams flowing water with sticks and logs to create the pond habitat they prefer. They also build living quarters called "lodges" or live in the mud banks of rivers and streams. When alarmed, beavers will slap their powerful flat tails on the surface of the water which warns other beavers in the vicinity of the presence of an intruder. Beavers are entirely herbivorous, eating aquatic plants, tree bark and woody stems.